Candles, oooohh how festive and snuggly they make thee feel eh? Since I’ve had Kitty (a cat, not a baby) I’ve avoided things like candles for a while. She’s a massive swine at knocking things off and you can’t leave anything on a shelf or surface without her investigating it, her trick for attention is actually knocking things off one by one until I have to chase her off, clever scamp Kitty. I have found that now we have a house with a fire surround though, she hasn’t worked out how to jump up on to it yet! So alas, the candle joy is reborn and I can burn lovely smelling goodness till my hearts content. I was sent these ‘Melt Scented Candles’ just before Christmas and have been meaning to write about them before now, but I’ve got such a backlog of products I want to share and also starting a full time job is taking it’s toll I tell thee! As you can see my Camila Prada Egg Cup is simply in awe of the candle goodness (yes, like the Booty Shakers it is too precious to be used and remains on display instead). I was sent two candles, both different scents and sizes. I’ll talk about the big one first though which is ‘Saddle’ fragrance! As soon as I opened this weighty glass jar containing a rather superb looking candle the smell of MUSK hit me. Ever since I was a kid the smell of musk triggers migraines for me. I blame it on Hint of Musk Impulse, remember that? No? Well I do, and it’s not a fond memory. This type of soapy, musky scent instantly makes me dizzy so I had to pack the candle straight back up after I took a picture before I had to spend the remained of the day suffering in bed! This doesn’t detract from the candle itself though, so please don’t take my weird afflictions as a negative towards it!! Maybe when I get contacted in future I should mention this strange consideration?! Anyway, it made a nice Christmas present for someone who can cope with the scent and they have informed me since that they LOVE it. The candle also depicts scents of sandalwood, moss and amber, which sound divine and the large ones of this size burn for up to 70 hours. The second candle was a smaller of the two was the Christmas Travel Candle. I’m not sure who ensures they have candles when travelling, but be reassured that they exist. Ha. I really love the touches on the packaging for this like the quote above which captures the essence of the festive season. This smelt amazing too, like atomic fireballs but with a vanilla and nutmeg edge. The smell fills the room and one thing I was impressed with was that when I blew the candle out it didn’t smoke and therefore make the room smell of burnt wick! I noticed a few candles do this (yankee ones in my experience!) and it just makes you wonder what the point of burning it was if after it’s extinguished it just smell of burn afterwards! But no, not from this bad boy. The smell lingers for a while too and the scent is potent enough that if you leave the lid off it acts as an air freshener too. 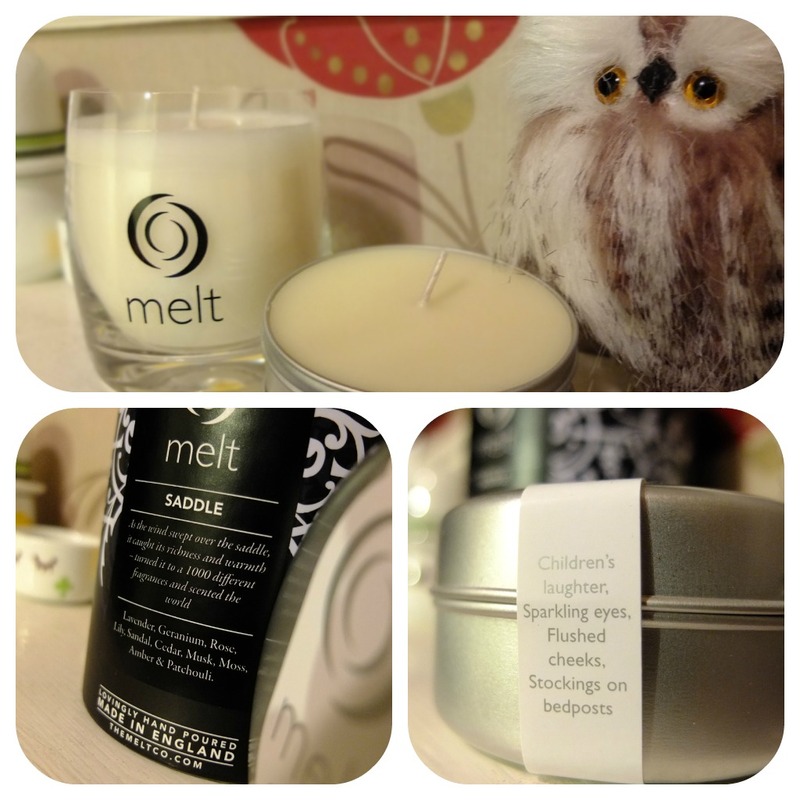 Looking at the Melt website there’s a few fragrances on there I’d love to explore more like FOREST for example, they sound like they’d smell so goooooood. Previous Post Shake Your Booty! !